20g mini skeins of my Llark Sock yarn! Perfect to pair with our Shorty Sock Twins for a contrast heel/toe/cuff. Also great for colorwork accents, scrappy projects, stuffies, pom poms, and more! 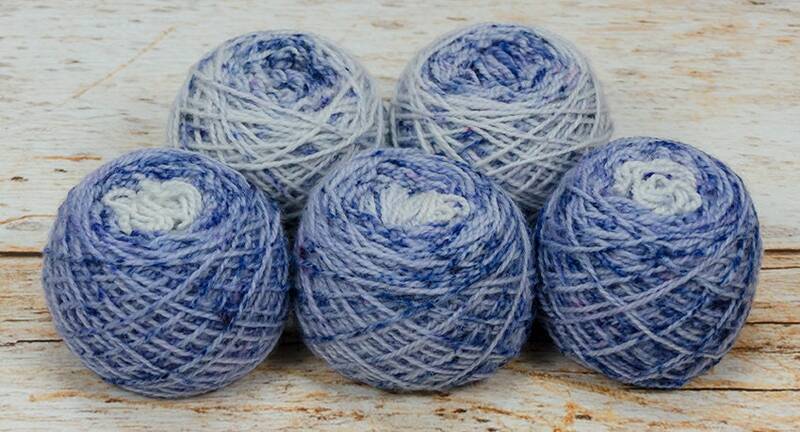 My Llark line of yarns are made from my own sock blanks and carefully hand dyed with professional acid dyes in a speckled technique for depth and texture in your finished object. 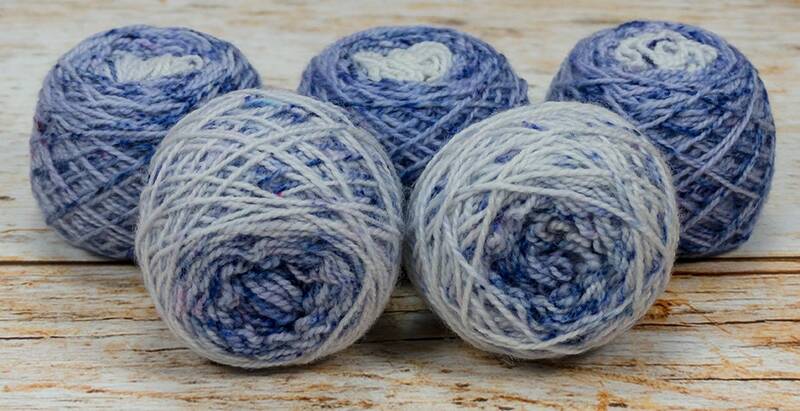 This 2-ply yarn has a tight ply that shows textured stitches well, but still has enough drape and sheen from the nylon content that more open stitch patterns look great too! 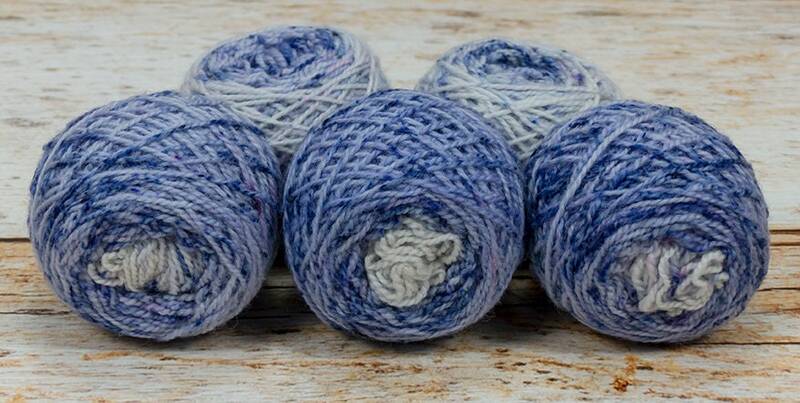 The BFL wool content adds great durability.